Berlin has long been a popular destination for medical tourism, as health care costs here are generally a quarter of the price of those in the US, while UK residents have the benefit of being able to skip the long waiting times posed by NHS hospitals. Facilities in Berlin hospitals are state-of-the-art, while patients are also treated to an excellent after care service. 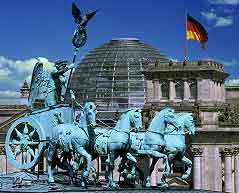 English-speaking Berlin doctors and nurses are easy to find here and there are plenty of world-class hotels to recuperate in after treatment. Berlin and its 12 surrounding districts are members of the Healthy City Network of the World Health Organization, and there are more than two-dozen approved Berlin hospitals and clinics to choose from, all of which provide techniques and equipment of the highest standard available. Facilities in all city hospitals are spotlessly clean and care is taken to make patients comfortable. The main advantages of medical tourism in Berlin over other destinations is that Germany's capital city is well connected to the rest of Europe, as well as the US. There are a large number of excellent healthcare institutions to choose from in all areas of the city, and the level of health care is unbeatable. Additionally, language is not a barrier in Berlin hospitals, with doctors speaking proficient English. Berlin is famed for its vibrant nightlife scene and excellent restaurants. There are plenty of outstanding hotels here, and the city offers a broad spectrum of shopping, sightseeing and other entertainment options. This part of the world is known for its spas, which are ideal places to relax and unwind. A number of beautiful beaches can be found on the outskirts of the city, while Müggelsee, in the southeast of Berlin, is a popular place to swim. Just about every type of medical procedure imaginable is available in Berlin, ranging from joint replacements to hair transplantation. Dental surgery in Berlin is very popular, especially with those from the US, while the city is quickly establishing itself as one of the most notable places in Europe for cosmetic surgery. Hospital care in Berlin measures up to world-class standards and patients in private hospitals will be treated to their own room and individual care. All mod-cons are available, including satellite television, wireless Internet and en suite bathrooms, while patients are also treated to 'a la carte' menus. DRK Kliniken Berlin offers three leading hospitals in the city, which feature specialised inpatient care. These Berlin hospitals specialise in a wide range of treatments, and patients travel to them from all over the world, to consult with experienced doctors on all types of cancer, hip replacement surgery, orthopaedics and trauma surgery. 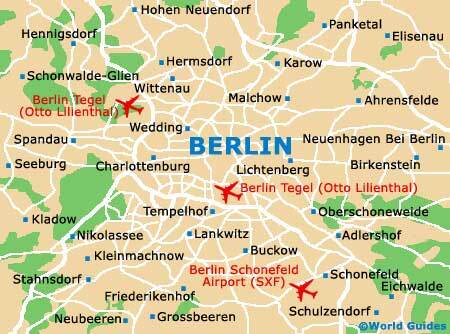 One of the leading dental clinics in Berlin, the Triadent-Mitte practice, can be found in the heart of the city. Specialising in endodontics and implantology, this modern clinic uses the latest scientific techniques and offers an excellent aftercare service. The dedicated team of dentists and hygienists here are fluent in English, French and German.